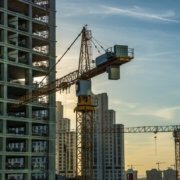 With construction disputes on the rise, it is vital that contractors understand how to protect their interests. Our study explains how to get to grips with sweeping changes to standard contracts commonly used in the UK and the Gulf region. The 20-page report titled ‘Construction Claims and Defence’ also looks at global claims, a means of getting compensation in a dispute even when the circumstances aren’t crystal clear. The report outlines the changes to FIDIC. It includes sections on concurrent delay principles and implied terms regarding prevention. The report explains when and how to make a claim under the contract and when to claim for breach of contract. It also looks at extension of time assessments, claims for additional payment for prolongation and claims for disruption and acceleration costs.